Ever had a Zotz that tastes like Bubble Gum? We Gurus love the Zots. 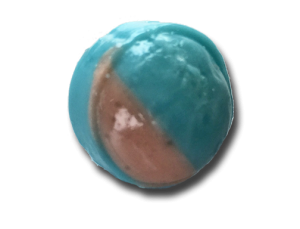 We like the candy that isn’t Zotz but TASTES like Zotz. We love European fake Zotz. I think yr getting my drift. 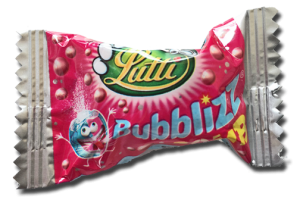 So I was in France this week and there was a container filled with these little Bobblizz Bomb rascals from Lutti, and although I assumed they’d be lame, I should have known better because they were French and the French people make good food. Which taste like bubble gum. I mean EXACTLY like bubble gum. But they are hard as nails. And they don’t become chewy. They just crumble. With a fizzy center. That tastes just like Zotz. I brought a bunch home and for some stupid reason I’m giving most to Jonny. I’m not smart. Because you like Zotz too. And all the candies that taste like Zotz.